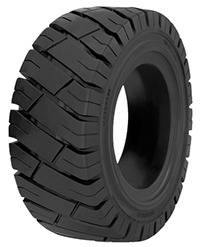 ECOMEGA PREMIUM PM SOLID tyre generation is the ultimate and innovative tyre for the most severe applications and the most demanding customers. The tyre has an appealing style, the body of the casing is very tough, the pattern design and the broader tread surface improve stability and load dispersion on the ground. 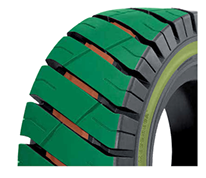 It is constructed with a multi layered rubber compound and the system of three different types of rubber assure maximum elasticity and comfort, reduce rolling resistance and offer a longer working-life. Moreover, the heat resistance and the improved traction guarantee a better stability and definitively a longer tyre life. The sidewalls are strongly reinforced to protect the tyre from lateral damages. LD. W ST.W. LD. W ST.W.